Compassion, optimism and a commitment to achieving ambitious results. All of these things haven proven to be key components of another successful employee-giving campaign. Niagara Health employees proudly raised $78,714 during our United Way Workplace campaign in October. 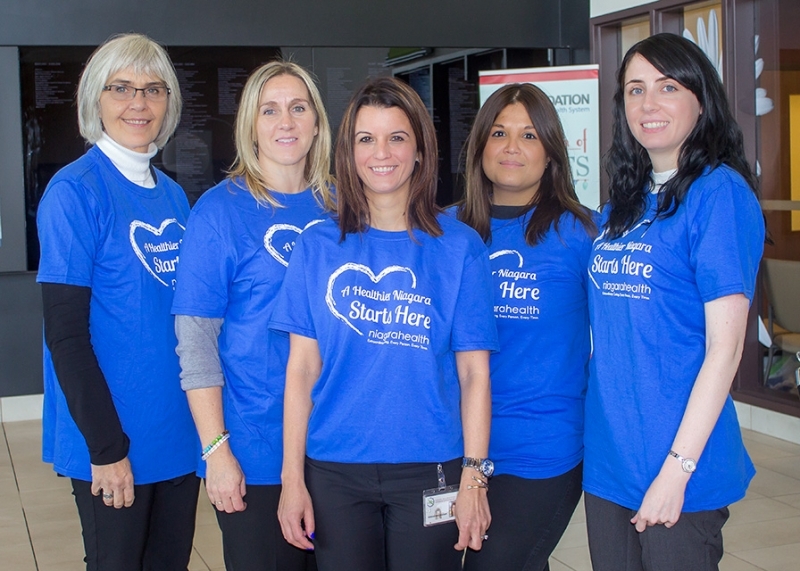 In addition to the generous one-time donations and payroll deductions, staff placed change jars on their units and purchased “A Healthier Niagara Starts Here” T-shirts to wear on Dress Down Fridays to show their support. A highlight was a Gift Card Mania Draw that was held on the last day of the campaign. Employees were entered into a draw for a chance to win one of 14 gift cards, which were generously donated by our compassionate team members and community supporters. Our campaign committee put a lot of heart into creating another fun and successful campaign that will have a positive impact on our community. Donations are continuing to come in which shows the level of enthusiasm and support across the organization. The campaign raised $3,000 more than last year.